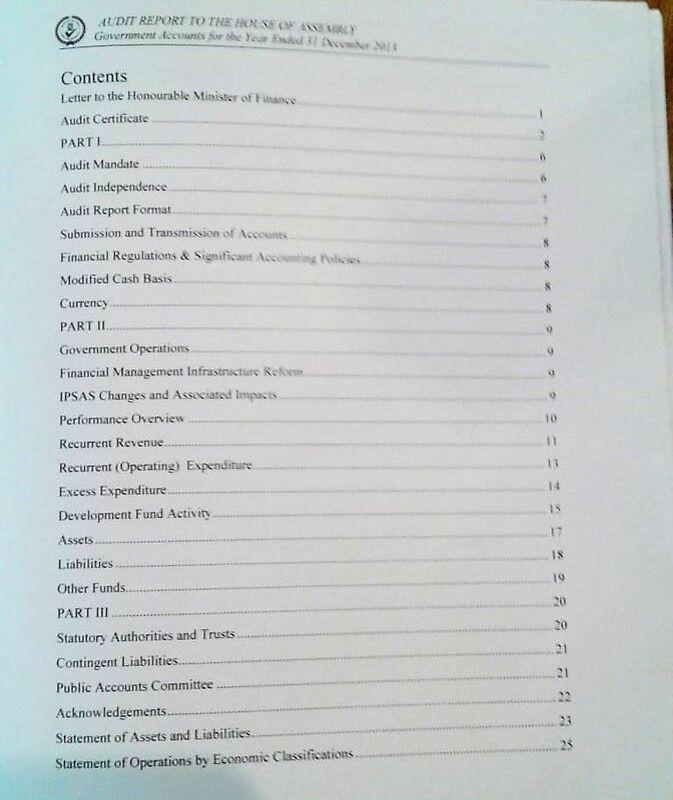 Ms Webster’s findings are documented in the 2013 Audit Report, laid before the House of Assembly (HoA) last month. The object categories, according to the report, combine the activities of different projects thereby presenting difficulty. 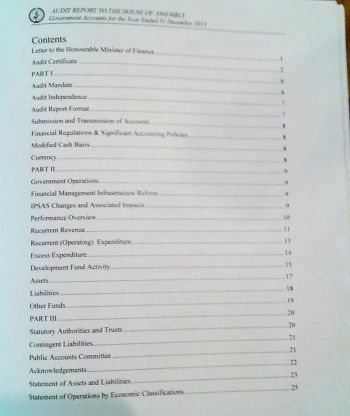 Ms Webster said the Office as a result has had difficulty in establishing what projects are being undertaken; the budgeted amount and actual expenditure for individual projects and the legitimacy of related payment requests (and actual expenditure) as required by the Audit Act. 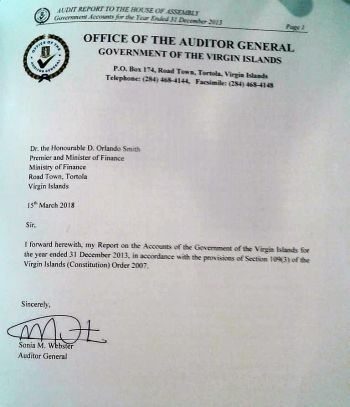 The true state of the Virgin Islands’ Finances is still not known and Minister of Finance and Co-Leader of Government Business, Dr the Honourable D. Orlando Smith (AL), has admitted—through a series of answers to questions in the HoA—that his ruling National Democratic Party (NDP) has essentially bankrupted the country. The NDP Government was wasteful. I predict an early election. Don’t be surprised if elections are held before March 2019. 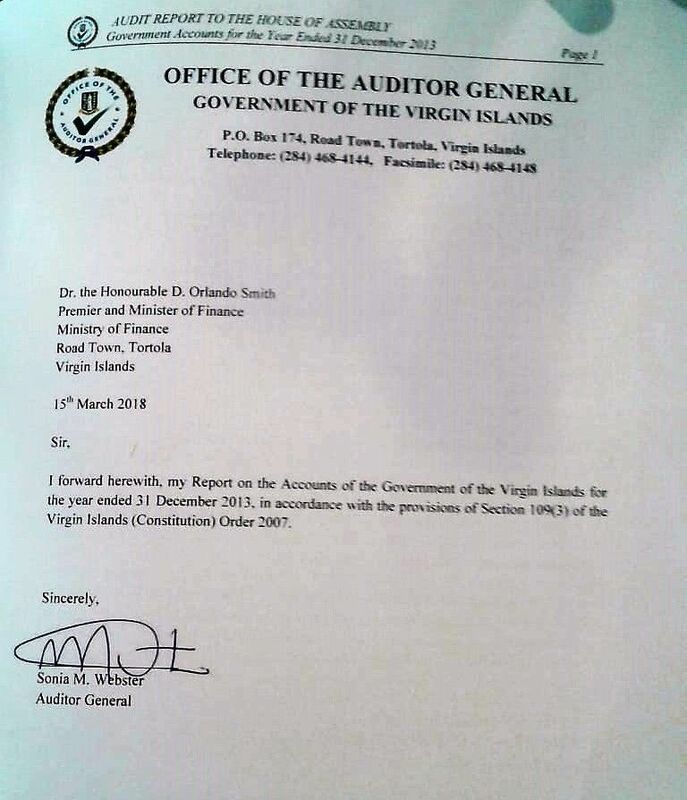 HOW COULD WE GET GOOD GOVERNANCE IF WE KEEP LETTING THEIFING POLITICANS GET AWAY YEARS! AFTRER YEARS! Audit district 6 $ especially. Ppl would be surprisrd.